An aerodynamics kit and styling package include a range of body and interior options for the new M6. The German tuning outfit has just released first images and specs of their latest project for the current M6. 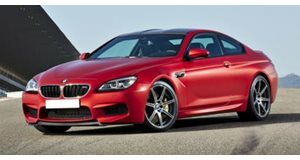 The F12M M6 sports a 560hp twin-turbocharged 4.4-liter V8 and is the fastest model of the BMW 6-Series, however this tuning package doesn&apos;t include any mods to the powerplant. It does include a complete aero package made up of a front spoiler and large air inlets, wheel arch extensions at the front and rear, carbon-fiber engine housing, a rear diffuser with central double-pipe exhaust system, and a large rear wing. The M6 by Lumma Design sits on 21-inch multi-part sports rims to complete the exterior look, while a refined interior includes a newly upholstered cabin trimmed with leather, Alcantara and carbon fiber. The first vehicles, completed to customers&apos; exact specifications, will be shipped early next year.